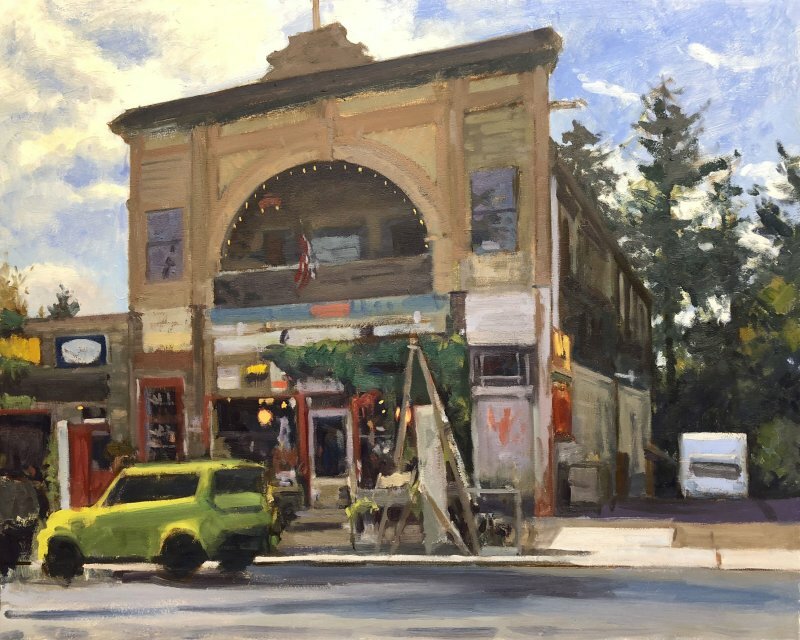 This is a work in progress, an old junk store in Snohomish WA. I've worked on this over several sessions, usually with students also painting. The traffic is pretty thick, and often parked cars obscure the view of the storefront. 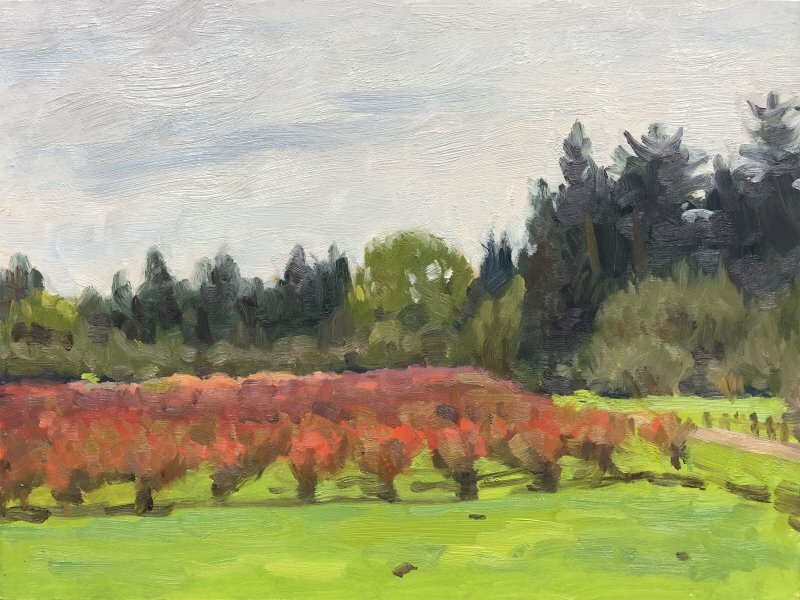 This was a quick alla prima study done at Larsen Lake Blueberry Farm in Bellevue. It was painted on gessoboard panel. It may serve as a study for a larger painting.